A decade-plus into her run as globalist pop&apos;s top lefty renegade, Maya Arulpragasam&apos;s radical patter is sounding a bit ho-hum ("Borders: what&apos;s up with that?" she wonders on her fifth album). 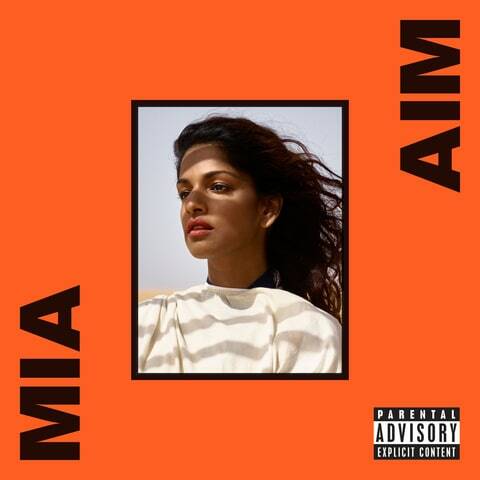 But M.I.A.&apos;s skill as a buoyant beat-rider remains intact (the glassily thumping "Visa" turns border crossing into a party), and there are moments on AIM where the political and personal blur evocatively: "Humming higher than a drone/Doves cry/Are you going home alone?" she sings against the South Asian-flavored hip-hop skitter of "Bird Song," flipping a Prince quote into a come-on perfect for an era when war can be as darkly ambiguous as desire itself.